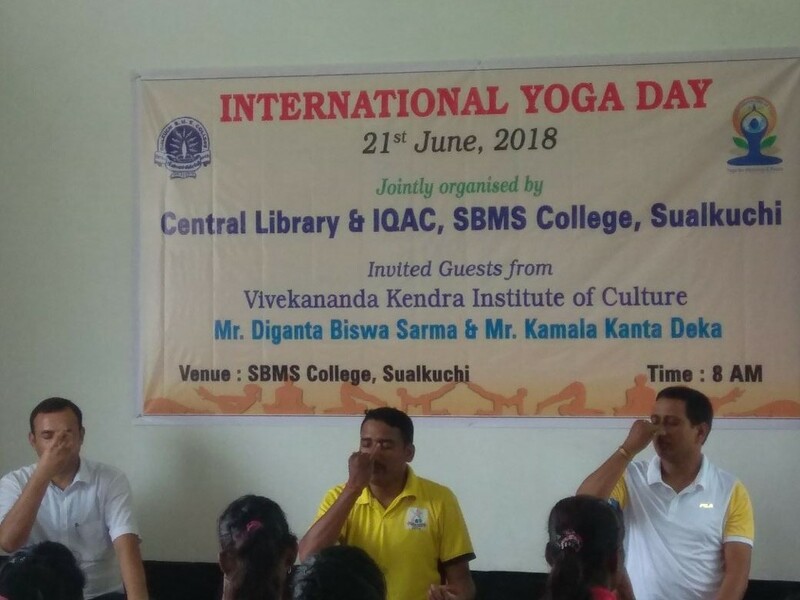 International Yoga Day is observed in SBMS College, Sualkuchi today. 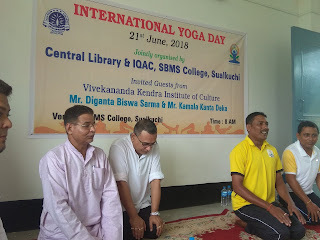 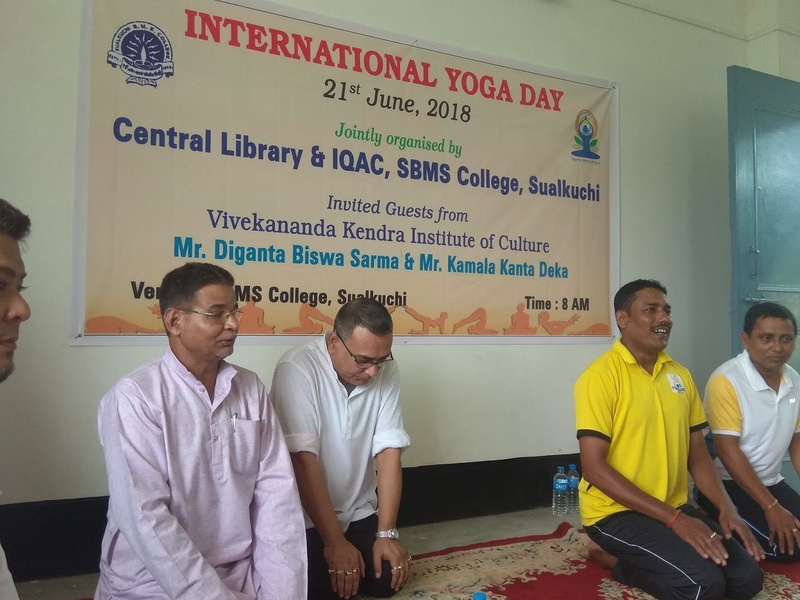 A large number of students, teachers and employees of the college together with many people from the locality took part in the programme and practiced yoga under the instruction of yoga experts Sri Kamala Kanta Deka and Sri Bhaskar Jyoti Sarma from Vivekananda Kendra Institute of Culture. 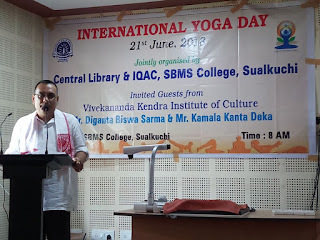 Noted Orator Sri Diganta Biswa Sarma grace the occasion by delivering an inspiring lecture on yoga and spirituality. The programme was organized by Central Library, SBMS college in collaboration with Internal Quality Assurance Cell.